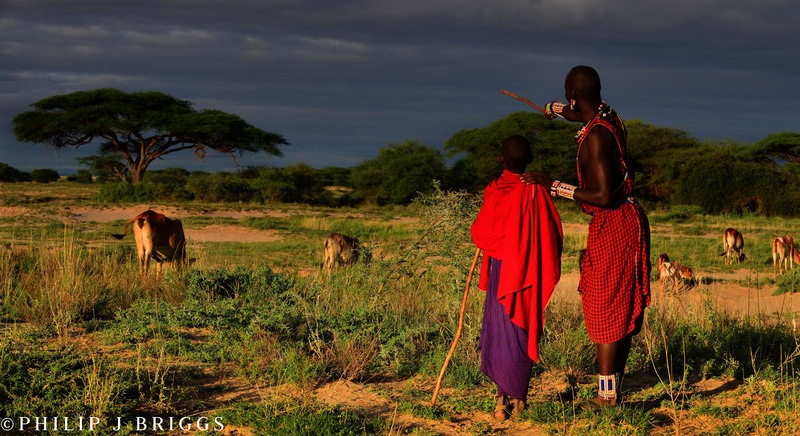 African wildlife and herders have a complex – and sometimes strained – relationship. But at Lion Guardians, we’ve always believed that pastoralism and conservation are not merely compatible, they can actually be beneficial to each other. A fascinating new study supports this point of view, suggesting that wildlife in Africa may actually owe some of their favorite hotspots to ancient herding practices. That’s because wherever herders and their livestock settled, manure piled up, and long after the pastoralists moved on, the manure remained, breaking down into nutrient-rich soil. Continuously fertilized by such rich deposits, vegetation in these areas tends to grow thick and lush, which in turn attracts a diverse range of species, from insects to herbivores to carnivores. 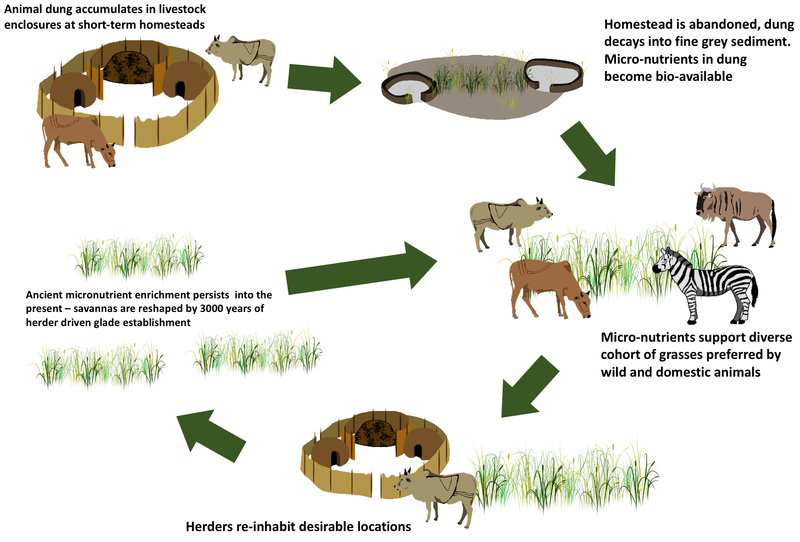 Herding isn’t the only contributor to these hotspots; fire, termite mounds and volcanic sediments may also play roles. 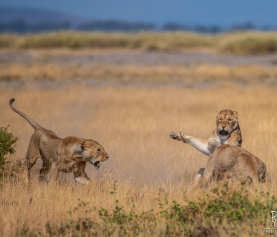 But the study finds that ancient herding practices and patterns might have helped create some of the most biodiverse areas in the African savannah, and may drive wildlife movements and migrations to this day. It’s so easy to think of wild animals and herders as constantly at odds, since sometimes their wants, needs, and priorities are so vastly different that dangerous clashes occur. 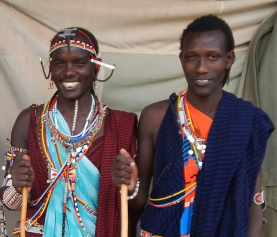 But this new research illustrates that there is an underlying harmony between wildlife and herders, one that ties them together in a very fundamental way – something that pastoralists inherently understand. 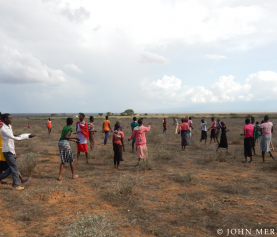 So it was not surprising that, when we spoke to some of our Guardians and local team members about these findings, each already knew that wildlife tend to gravitate toward old settlements and bomas [livestock corrals]. They also shared with us additional reasons they believe wildlife seek out these areas, illustrating the extent and strength of traditional knowledge.